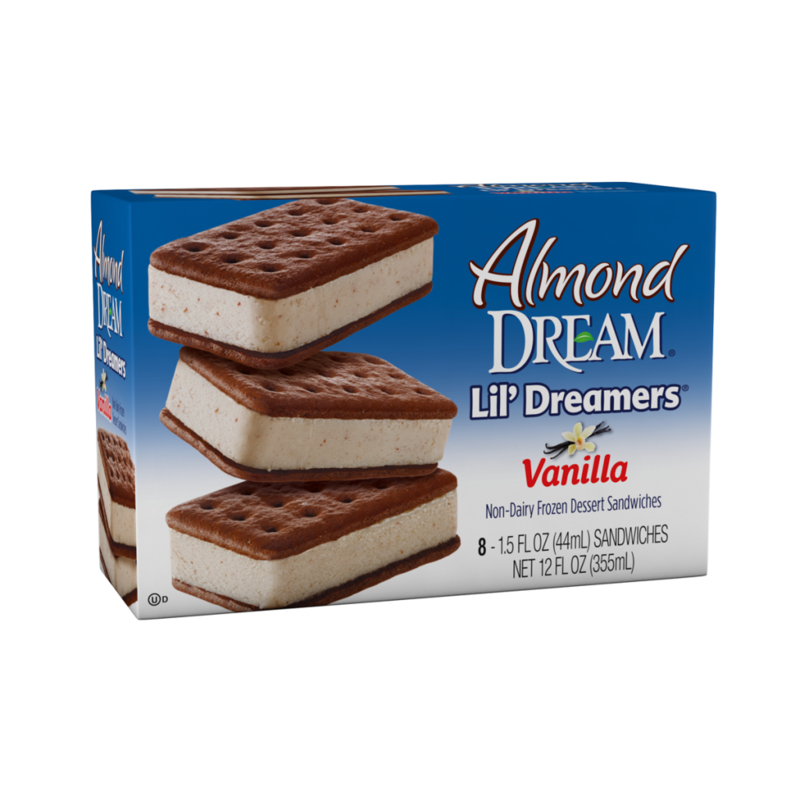 Almond DREAM® Vanilla Lil’ Dreamers Dessert Sandwiches are a smarter, plant-based interpretation of the ice cream sandwiches we all know. Our sweet and creamy Almond DREAM Vanilla Non-Dairy Frozen Dessert is sandwiched between two decadent chocolate layers. 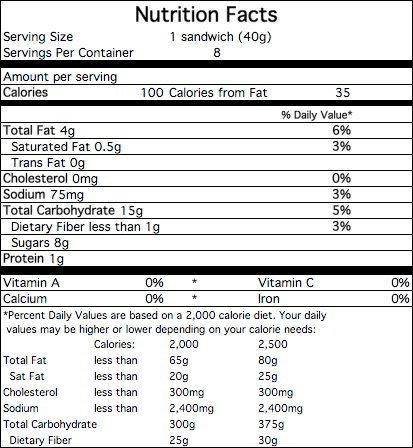 ALMOND DREAM FILLING: FILTERED WATER, EVAPORATED CANE SYRUP, ALMONDS, EXPELLER PRESSED OIL (SUNFLOWER AND/OR SAFFLOWER), TAPIOCA MALTODEXTRIN, NATURAL VANILLA EXTRACT, POTATO STARCH, GUAR GUM, CAROB BEAN GUM, CARRAGEENAN, SUNFLOWER LECITHIN, SEA SALT, NATURAL FLAVORS. CHOCOLATE WAFER: WHEAT FLOUR, EVAPORATED CANE SYRUP, CANE SYRUP, PALM OIL, CARAMEL COLOR, BAKING SODA, SOY LECITHIN, COCOA PROCESSED WITH ALKALI, SALT, NATURAL FLAVOR. Manufactured in a facility that uses peanuts, milk, eggs and tree nuts.